One way for an emerging U.S. brand to parlay its domestic success into overseas expansion is by partnering with a big player that can provide the expertise, resources, and experience to make a go of it. That’s the path taken by Pokéworks, one of several brands in this emerging sector, which announced an agreement with Toridoll Holdings Corp., a $1.6 billion Japanese company that operates more than 1,500 restaurant locations (1,028 in Japan and 533 overseas). Pokéworks, founded just 3 years ago with its first store in midtown Manhattan, has opened nearly 20 locations and has more than 120 under development. For those still unfamiliar with the concept, the brand allows customers to build their own poke bowls, burritos, and salads by selecting a base protein, regional mix-ins, flavoring sauces, toppings, and crunchy texture. Pokéworks attributes it U.S. success to its appeal to Millennials through its fresh, healthy, customizable food, as well as to its commitment to sustainability, including certified reclaimed wood building material. 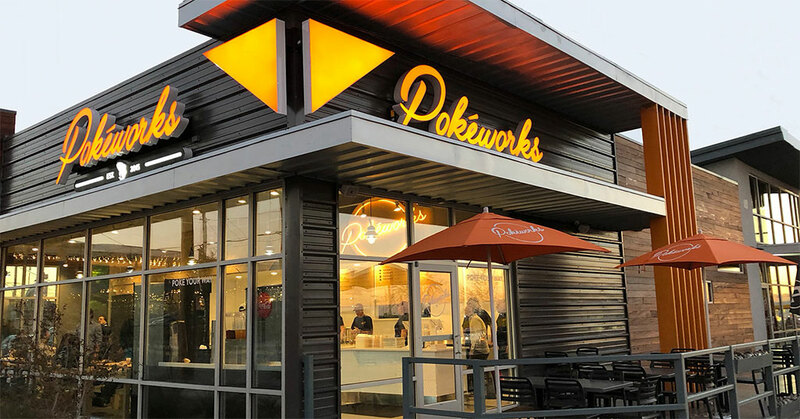 To fuel its growth, Pokéworks is seeking experienced multi-unit partners looking to invest in a turnkey franchise with minimal restaurant and labor costs. The initial franchise fee is $35,000 with the total single-unit investment ranging from $250,000 to $850,000.